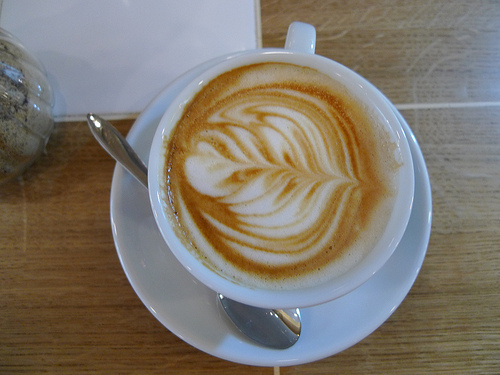 When visiting each of the specialty cafés back to back, these similarities can be slightly tiresome, but when compared to the thousands of corner cafés or brasseries serving up acrid cups of Cafés Richard, this new wave of cafés is still fresh and exciting. Filtered coffee isn’t easy to find in Paris overall, much less one of excellent quality, nor are locally roasted, super-fresh beans. So even if there’s something slightly repetitive about Paris’ emerging coffee scene, there’s no doubt we’re lucky to have the new options. Uniformly good, after all, is far better than uniformly bad. Uniformly bad, is how most people (as little as three years ago) would describe coffee in Paris. Why was Parisian Coffee So Terrible? As New York City based writer Oliver Strand documented in 2010, poor coffee was (and continues to be) prevalent almost everywhere in Paris. Historically, the French served coffee made with poor quality Robusta beans (grown inexpensively and efficiently in former French colonies) rather than Arabica. They roasted their beans too long and continued to use them long after they were no longer fresh. Emmanuelle Bocquier, native-born barista and Sales Manager of L’Arbre à Café, explains that coffee “is a product that [the French] like but don’t really know. 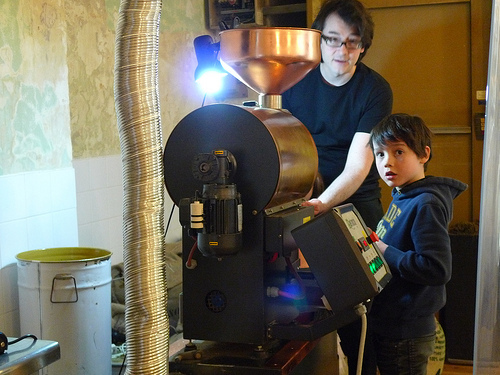 Most of the time, the roasters in Paris are not very specialized. Their selection of beans is bad, then these bad beans are burned when roasted in very large batches. 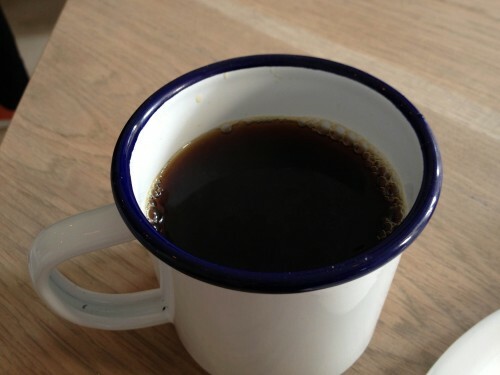 People don’t really know how to use their roasting machines.” Couple these bad beans with shoddy, infrequently cleaned machines, poorly trained baristas, and chalky long-life UHT milk, and you’ve got the recipe for a seriously lousy cup of coffee. Bocquier explains that in order to have good coffee, “everything is important. The way the producer is working on the farm, the selection of the beans, the fact that they pick the cherry (as coffee beans are called by the trade) by hand and not with huge machines, and the shipping conditions as well.” The quality of the water used to make coffee is also key, as is the education of the barista, and the quality of the machine. Bad machines abound at corner cafés and lack the rotary pumps that create the pressure (bars) that’s vital for extracting and properly pulling shots of excellent espresso. By way of contrast, the La Marzocco appears to be the nearly universal machine choice of the Parisian specialty coffee scene. Local roaster La Caféothèque was the first to buck the dark, bitter and over-roasted bean trend. They were later followed by Café Lomi, Coutume Café, Télescope, Ten Belles, and many others. These roasters and cafés made significant investments in machinery and education both for their staff and for their clientele. 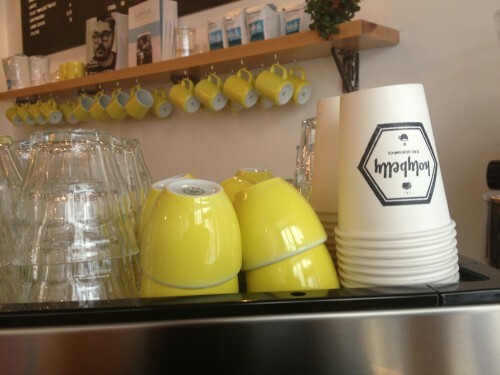 Cuppings (ritualized professional tastings to evaluate quality and discern flavor notes) are routine business at Café Lomi, Coutume Café, L’Arbre à Café, and Belleville Brûlerie. Or, as some have argued, has it been brainwashed? Shades of cultural imperialism and the homogenization of good taste echo behind each new article proclaiming that “Finally! Good Coffee Has Come of Age”. Good coffee can be subjective, and some have argued that the new roasters and cafés are trumpeting an Anglo-centric definition of quality, while the French palate appreciates another style – espresso that’s darkly roasted and bitter. This preference may also explained by the difference between French coffee-drinking habits and those in other countries. In France, coffee is usually served as the capstone to a meal, as a quick pick-me-up consumed while standing at a counter, or sipped as an excuse to linger on a café terrace. That range may still be somewhat limited. Even the geekiest and most specialized of coffee shops tend to have tightly edited menus and the latest batch of openings are all focused on very similar styles of preparation. Look at any of the menus at the specialty shops and you’ll see filtered coffee (filtré, café américain) highlighted. At Holybelly it’s in big, bold letters “the real deal!”. When I asked at Fondation about what on the menu was particularly unique, the response was “filter, made with Belleville beans.” When I posed the same question to Connor from Coutume Lab, he extolled the virtues of their Guatemalan honey blend filter coffee. Filter coffee makes up half of all sales at Ten Belles according to Lehoux. It’s not that filtered coffee is particularly new. As Flynn states, filter historically “is the coffee that Grandma was making. Everyone has a piston, a French press sitting around. But it’s a way to make people look at coffee in a new way.” For Flynn, the benefit of focusing on filter is that it’s a cheap and easy method that just about can use to prepare a beautiful cup in home. The main challenge is in getting the French consumer to realize that the freshness of the roast and grind are key; that coffee is a product with an expiration date like milk or vegetables. Much of the uniformity can be traced to the growing pains that come with a scene that has matured so rapidly. 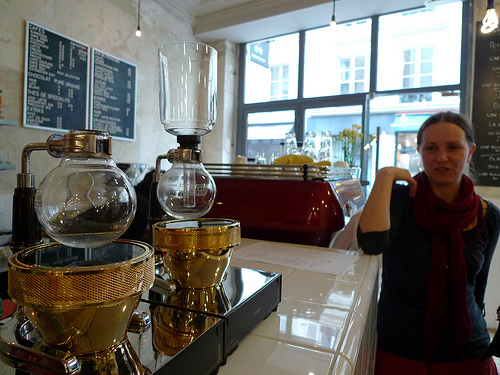 According to Paris’s new coffee mavens, France was ripe for a coffee renaissance. As Clark explains, “Coffee is a product that’s so ingrained in the French lifestyle. People drink it all the time, and there’s this reflex to say let’s prendre un café.” It was about the experience, about lingering together on a café terrace for a chat. Flynn explains that espresso allongé, essentially the French espresso version of filtered coffee (a shot of espresso diluted with hot water) was so popular in part because it extended the social opportunities. The concept of terroir, or the idea that the taste of a product is intrinsically linked to where it has been grown, is the much revered backbone of French culinary culture, so the French palate has been trained to be attuned to the subtleties of flavor and texture in cheeses, wines, and other food products. France has hundreds of AOC (Appellation d’Origine Contrôlée) regulated cheeses, meats and even legally protected heirloom strawberries. So when it came to coffee, it was clear to Clark that “the French public has a good, inquisitive palate, wanted transparency and accountability… they understand the notion of terroir and tasting notes. The whole argument came from the wine world and applied to the coffee world.” Once roaster and specialty shops were actually on-site to provide an alternative to the ubiquitous Cafés Richard seen at every corner caféand brasserie, the development of the quality coffee scene was extremely rapid. So cities like Melbourne, London and San Francisco might have more developed coffee cultures, but Paris has caught up to their sophistication at a remarkably fast pace. This Fall has been a watershed moment for coffee in Paris. Destination-worthy coffee shops are no longer a rarity. Restaurants that take great care in sourcing their seafood, produce and meat are now transforming their coffee programs to reflect the same ethos of exigency when it comes to the coffee they serve. Restaurants like Fish (Coutume), Verjus (Coutume), and Le Comptoir du Relais (L’Arbre à Café) are seriously working to source and prepare quality coffee to match their food. Pastry chefs like Pierre Hermé are even getting in on the action as evidenced by the recent collection of coffee-flavored desserts that source exclusive and rare single origin Brazilian coffee beans from L’Arbre à Café.